But ultimately, the birth control pill really fattening or this is just a wrong perception without scientific basis? The curt answer is no, there is no evidence that the pill batten. Well, I bet you are not convinced. When we say that the weight gain related to the use of the pill is a myth, many women turn up their noses. Probably his own experience tells you exactly the opposite. If so, you're not alone, thousands of women swear that gained weight after starting the use of hormonal contraceptives. Studies show that over 80% of women think the pill is fat. More than that, there are many doctors who also believe in this relationship and contribute to the perpetuation of the myth. However, it is important to note that thousands of women also claim that their weight did not change with the pill, and other thousands ensure that even lost weight with the contraceptive. And now, based on personal experience, we can say that contraceptive fattening, thin, or will the effect is individual? The truth is that the subject is controversial. Not enough personal accounts. That's not how science works. We need to dissect a bit more the issue and present what scientific studies have shown us. I will cite some studies and at the end, I will make brief comments, summarizing the results. In recent decades, dozens of studies have been published trying to clarify the relationship between weight gain and the use of birth control pills. A famous study by obstetrics and gynecology at the Hebrew University-Hadassah Medical School department in Jerusalem, Israel, decided to follow 80 young and thin women who had never taken birth before. These women were divided into 2 groups. The first, with 31 women, continued without taking any medication. The second group, composed of 49 women, started to take a pill containing 30 mcg ethinyl estradiol plus 75 mcg gestodene, a fairly common formulation in the market. The amount of estrogen present in these pills is similar to that exists as marks Yasmin, and smaller than others, and as Diane Selene. 30.6% of women who started the pill gained more than 0.5 kg of weight in this range. 35% of women who did not start the contraceptives gained more than 0.5 kg of weight in this range. 20.4% of women who started the pill had lost at least 0.5 kg. 19.3% of women who did not start the birth had lost at least 0.5 kg. In both groups, approximately half of women maintained the same weight were 6 months before. The comparison between the percentage of fat, hip and abdomen size, water percentage, BMI and weight variation were similar in both groups. Therefore, in this study, the use of birth control pills with estrogen doses similar to those contained in the most famous brands could not be held responsible for gains or weight loss. A major revision made with 49 studies published through 2011 reached the same conclusion. Despite the perception of many women, and even doctors, that the use of the contraceptive pill is related to weight gain, when it will study seriously the matter, with careful observation of weight and other indexes related to fat gain, as fat percentage and BMI, it is concluded that there is no scientific basis to blame the pill for relevant weight gain. Even those women who gained 1 or 2 kilos, it failed to prove that the fault was the pill, because the groups who were not taking the contraceptive also showed women with this magnitude of weight gain. What the studies show is that women can gain or lose weight by several factors. Over 6 to 12 months is very common to have variations in the weight of patients, whether they are or not taking hormonal contraceptives. The problem is that when those variations occur in those who are taking the pill, the drug ends up getting the blame unfairly. Along with the myth that contraceptive fattening, there is also the myth that certain brands of oral contraceptives do gain weight more than others. According to this popular belief, if you put on weight by taking a pill, just switch brands until you find one that will not make you gain weight. This theory also has no scientific support. In fact, there in the early 1960s, when the first birth control pills began trading, the estrogen and progesterone doses came to be 10 times higher than today. At that time, contraceptives actually grew fat. And not only that, the rate of side effects and complications was very high. Many of the fears that women have oral contraceptives have problems caused by these drugs decades ago. Among the 49 reviewed scientific studies showed no relationship between weight gain and the use of the pill, the doses of estrogen (ethinyl estradiol) studied it ranged from 20 mcg to 50 mcg, which encompasses virtually all market pills, including the famous, Diane, Selene, Yasmin, Belara, Cerazette, Yaz, Nordete and others. So it was not possible to recognize any particular benefit over current formulations of contraceptives. You can even have the impression that certain contraceptive fattening more than others, however, this statement lacks scientific support. You may still not be convinced, especially if your weight has increased while you took birth. Therefore, some steps can be taken. 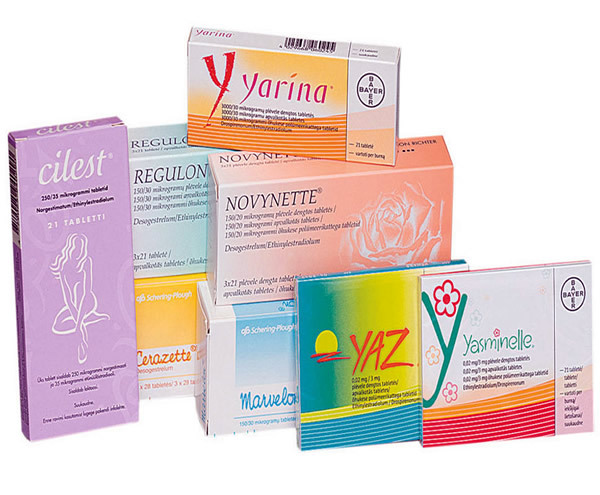 The first is to know that most of the side effects of the pill disappears after 3 months of use. If you swear you gained weight, do not give up the pill less than 6 months of use. The tendency is that your weight is stable and you note that the interference of the oral contraceptive was not as great as you imagined in the early months. It is always good to remember that contraceptives may cause some fluid retention in the first few months, this being responsible for discrete weight gains. In this case, you have gained weight, but not put on weight. The trend is the retention desparecer after the 3rd month and the weight return to its previous value. The second step is to make an honest self-criticism. Some questions may help you understand what happened. During your weight gain you were practicing physical activity on a regular basis? It was properly controlling the calorie intake? You have made a balanced diet? Are you sleeping at least 7 hours a night? It has avoided pinching sweets or other sources of carbohydrates during the day, between meals? This is the first time in my life that your weight changes? You never gained weight before, even without being on the pill? It is much easier and convenient to blame the pill for weight gain than make a self-criticism and realize that the fact that fattened probably occurred through the fault of life and eating habits of the patient herself. In previous decades, when contraceptives actually grew fat, the cause was an increased appetite. Therefore, it was not fattened the pill itself, but the increased calorie consumption throughout the day. So if while you swear that you gained weight pill, also swears that is not eating more than before, there is something that does not close its history. In the end, the person only fattening if you are constantly eating more calories than you can spend. This is a rule. As has been said, people can gain from one month to the other without much sense of reason. Sometimes small habits of everyday life, such as pinching, go unnoticed and the patient swears he has controlled their calorie intake. So, in conclusion, the birth control pill is not fattening. There is no way blame the pill for weight gains above 2 kg and more discrete gains usually disappear after a few months of use.